Home Blogs How to Keep Tabs on Tablets of Your Teens? When the word “Tablet” appears, simply an idea flashes into mind with an image of a mini computer. Tablets resemble very much the computers but mainly differ in size; the tablets can be handed and picked anywhere but computers can’t. When it comes to parental control, “monitoring tablets of teens” become an inevitable part as few teens use cell phones while others are provided with tablets by their parents or in gifts. The post aims at proffering a detailed guidance on why and how the parents should keep tabs on the tablets of their teens. 95% teens between 12-17 years are using the internet and social media through cell phones, computers, and tablets. A recent study shows that 23% teens use to access the internet, social media and various other dating and entertainment websites through tablets. When you are a parent, you should not turn deaf ears to what your teens do on the internet and social media through your provided tablets. It doesn’t mean at all that tablets only carry adverse effects, but we highly appreciate the vitality for the purposeful impacts these leave on teens. How to Monitor Tablets of Your Teens? Monitoring tablets of your teens are the fundamental right of parents, and it’s done only with an impetus of letting teens enjoy safe searching, educational activities and the whereabouts on the internet and social media with creativity and legitimate targets. When you provide your teen a tablet, he/she will not necessarily use it for educational purposes but can go beyond the restriction for fun, enjoyment and dating as well. Though nowadays the tablets have built-in features that restrict such internet surfing that parents deem inappropriate, it’s not necessary that all the teens have such tablets and have knowledge about safe searching. 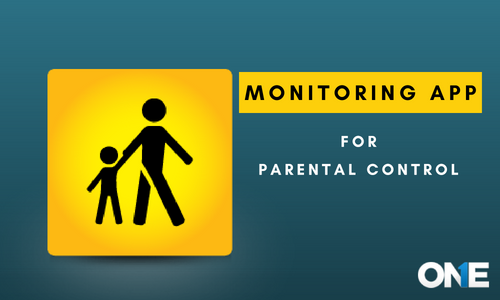 Keeping this consideration in mind, the monitoring of tablets becomes necessary for parents. Here is how you can do it and what application is the most suitable and reliable one for taking on your teens. TheOneSpy needs no recognition as if you ever search on Google for the best Android and iPhone monitoring app, TheOneSpy snatches the top position and has been appreciated by the masses for its outstanding functionality, immediate reporting and user-friendly interface that lets you enjoy comfortable monitoring. TheOneSpy is perfectly a wise selection if you need an incredible monitoring app to keep eyes on tablets of your teens. There are multiple features that are only for effective parental control and offer lots of help when it comes to taking on the cell phones, tablets and window phones of the teens. The features like Bugging Mic and Camera, Spying on text messages and calls, Tracking GPS locations, Monitoring Instant Messengers, Checking internet histories and switching from device and platform as well are the few prominent attributes of TheOneSpy app that make it the choice of every parent for better parental control and teen monitoring. By installing TheOneSpy app on your teens’ tablets, you can put your all suspicions to long rest. When the app is activated, it will deliver a report of every second and new activity happening on the target tablet of your teen. You can log in to your account and check all the reports and details. TheOneSpy app makes it easy for you to protect your teens safe and secure anywhere and on social media too. In the event, you come up a situation where your teen is using such apps that shouldn’t be on his/her tablet; you can remove, uninstall and reinstall that app. Keeping tabs on tablets of your teens is not that much easy, but TheOneSpy app takes monitoring to the next standard and eases out the parents for making sure their teens are safe and searching only good things on their tablets. TheOneSpy is indeed a blessing in disguise for all parents and lets them enjoy highest levels of security around their teens. The app is not only exceptional in performance, but its customer service entertains all the parents’ issues immediately with permanent solutions. 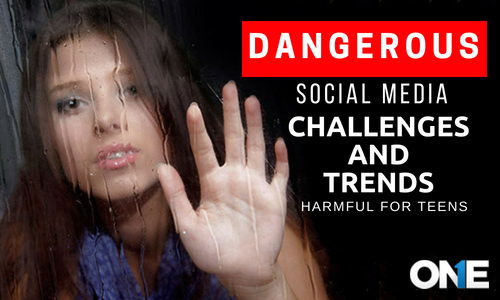 Monitor tablets of your teens not for yourself but your teens and mark them secure in this time of high instability and insecurity.